Davidelfin has always advocated a conception of fashion as a form and means of expression, turning it into a platform where different creative disciplines are mixed. This vision of the fashion brand has sought him favor with an important part of the criticism and rejection of the other, that, on occasions, have been in the creative director of the firm, David Delfín, more to a provocative, that a fashion designer. In his collection for next autumn-winter a little bit of everything has been seen. On the one hand the designs which have become in the House brand, by dint of being repeated in the television reviews of their collections. For example, in this collection, this type of designs are point, both mens and womens clothing, really conspicuous by its workmanship and their prints, pieces like the skorts, not in the classic sense, and that androgynous style that lead many to ignore the rest of the collection. Either because they believe does not need to see the rest to be convinced of his talent, or low self-worth, as the case may. However, this multidisciplinary vision of fashion does not imply the exclusion of other types of designs whose unique modernity or avant-garde is the combination of fabrics, or colors, getting a final look, that could be called renovated Classic. 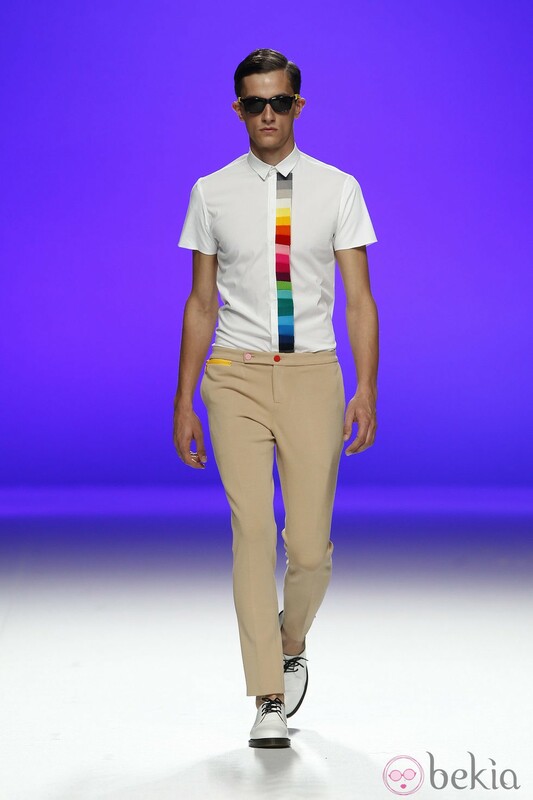 This is the Davidelfin which I like more. Example very clear, from my point of view, this type of designs is the suit jacket of the picture above on the left. If the skirt, instead of gold, black, as the living of the jacket which accompanies, would go through a perfect and beautiful classic suit. But the Davidelfin style seeks to contrast, and succeeds elegantly, altering some of the pieces, in this case, the skirt as well as stockings, which are brown instead of black, which is how would send the cannons of the colour combination. Like me, the result is actual, no doubt, urban and young. Like the rest of the designs of the pictures above. 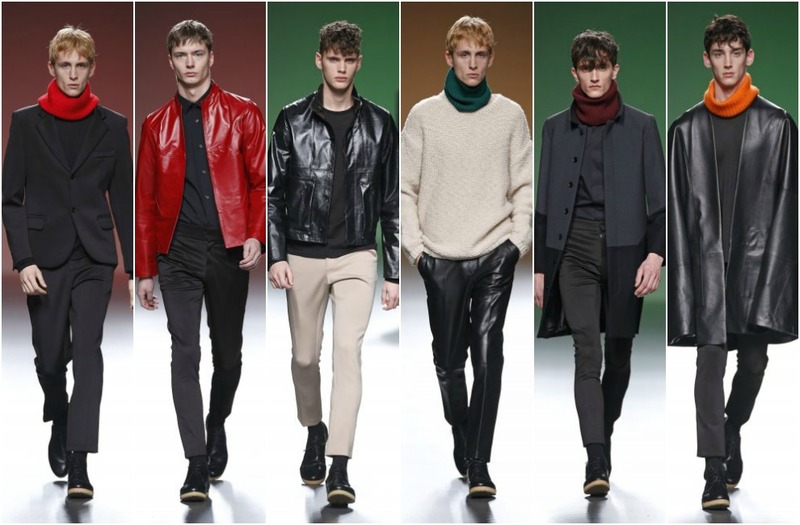 Very attractive matches, especially the set of white shirt with black trousers with vivid red. And the amazing white structure of the second picture on the left. My question is if it would have the favor and the critical attention if their collections focusing exclusively on this. I also like the game overlays and designs fabrics mixture as the photo in the middle of these above. Perhaps the leather can be somewhat aggressive, but the ensemble effect is, as in previous, elegant. And the pieces seem well cut. 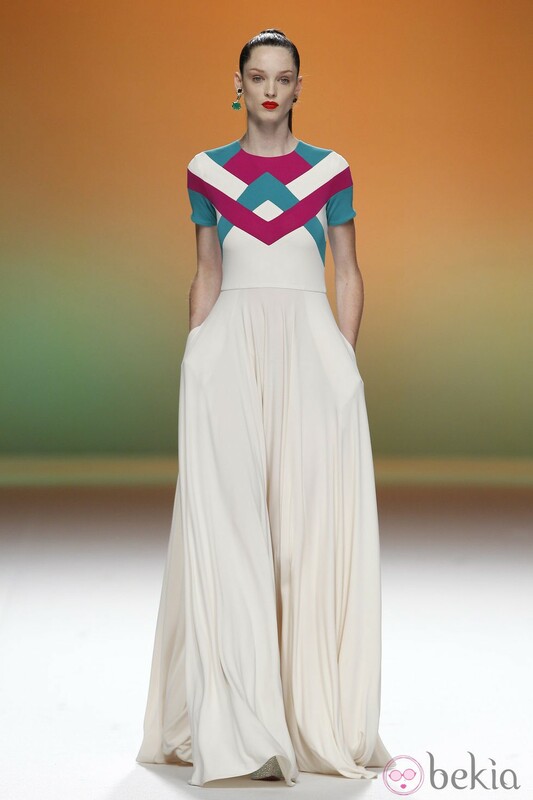 However, such designs are those who pass unnoticed in Davidelfin parades. Most focuses on the less classic, that sometimes hurts sensitivities and is seen as politically incorrect. This year has been inspiration in military uniformsNazi reminiscent, as well as those who seem to find inspiration in cassocks and robes, which have raised blisters. 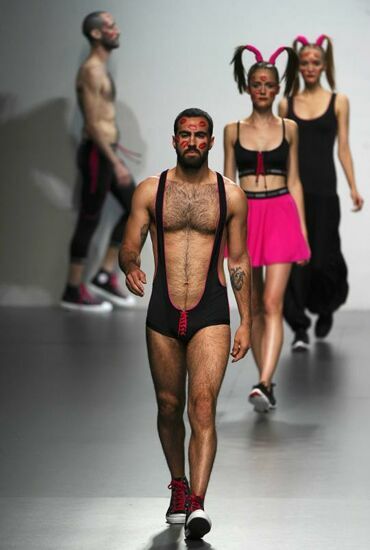 I guess they are this kind of garment in which expressive of the collections of Davidelfin load, is focused because, except the dress black cassock of the fourth picture type, I would not leave out with none of the others. Beyond wounds sensitivities.